This design was part of the original series of forty-eight designs completed by October 1931 but is not currently known from later printings. There is an overall gray bokashi background with more color at the bottom. 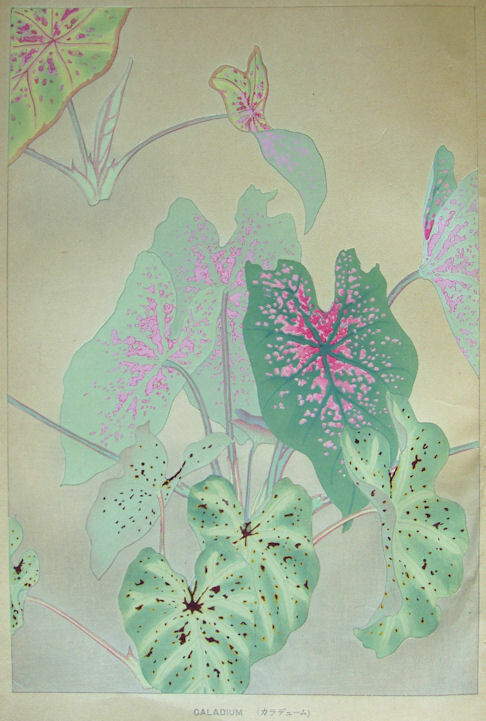 Caladium is a general name for a number of closely related plants with ornamental leaves. One of the common ones, Caladium bicolor is native to South America and has over a thousand named cultivars today. The cultivars illustrated here are likely this species.